Corrects caster for 2”-4.5” of lift. 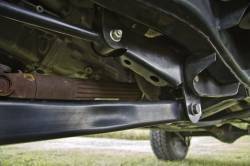 The new upper and lower control arm mounting holes are precisely positioned to provide the correct caster at the listed lift heights. The upper control arm mount provides two hole positions for proper caster settings through the full lift height range. The proper mounting locations for the installed lift heights are outlined in the installation instructions. 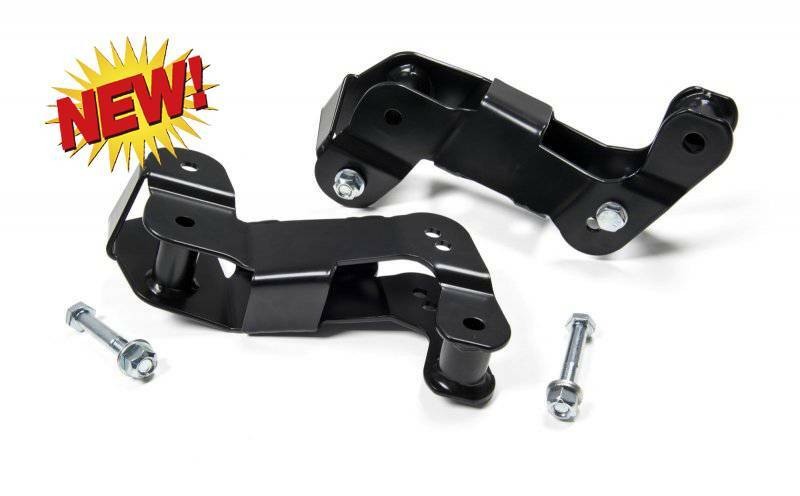 Brackets are made from heavy-duty 7GA steel and are fully boxed and welded for superior strength when compared to bolt together 2-piece designs. The brackets install inside the factory upper and lower control arm mounts with the factory hardware. The heavy boxed construction, fully gusseted lower mount and welded crush sleeves give you extra confidence both on and off road. 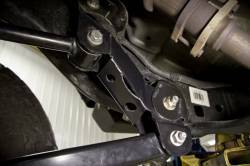 The Control Arm Correction Brackets can be used with JKS adjustable control arms for the ultimate on and off road performance. 2 Can be used in conjunction with JKS or other aftermarket control arms that can be set to factory length. 3 Designed for use with 2”+ lift. Ideal lift range is 2”-4.5” but can be used up to 6”.